Just because Spring Break is wrapping up this SKH Weekend doesn’t mean all the fun and fascinating things to do throughout our city and region are wrapping up too. The Umbrella Fest can fulfill the fantasies of anyone who has ever wanted to run away with the circus and Seaside’s Ghost Conference is sure to conjure up a few spirited conversations. Dance the weekend away at the Lindy Exchange or hop on over to Vancouver and check out the bunnies in the forest. Portland’s only Varieté Arts festival, returns for its sixth year to embrace the invention and diversity of this blossoming global subculture. 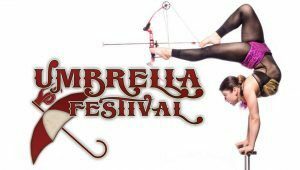 Umbrella Fest features circus, burlesque, vaudeville, music, dance, and physical comedy under one big umbrella, plus an adult cabaret night of drag and burlesque at Alberta Rose Theatre. Time to dance the weekend away at the annual Portland Lindy Exchange. This popular dance form that came to be in the earlier parts of the last century is a fusion of many popular swing dances but is mainly based on jazz, tap, breakaway, and the Charleston. The Lindy Exchange will have fans hopping to venue all over the city to dance to both local and national jazz and swing bands. The 6th Annual Oregon Ghost Conference will take place at the Seaside Civic and Convention Center. The Northwest’s largest paranormal convention it attracts visitors from all across the west coast and beyond. Expect the unexpected during this jam packed weekend filled with speakers, courses, tours, parties, and so much more. Time to dust off the old Vespa. 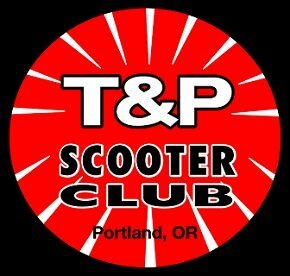 Spring Scoot is a weekend of rides and social events for riders of mopeds, scooters, and bicycles that will take place all over the city. Free. 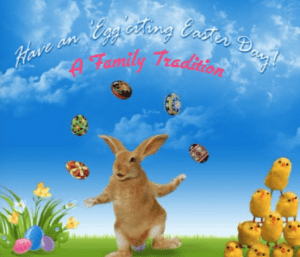 Enjoy a relaxed and fun family filled experience as you wander through the forest which is home to a number of bunnies. Follow rabbit footprints in the forest to find interesting rabbits, gather treats, and take photos on The Great Bunny Hunt at Rabbit Hollow at Cold Creek Retreat.